Dr. Linda Saif is a Distinguished University Professor at The Ohio State University (OSU) in the Food Animal Health Research Program (OARDC) and the Veterinary Preventive Medicine Department (CVM, OSU). She is a virologist and immunologist, whose research focuses on comparative aspects of enteric and respiratory viral infections (coronaviruses, rotaviruses and caliciviruses) of food animals and humans. Her lab studies mucosal immunity and vaccine development and is currently focusing on the impact of malnutrition and micronutrient deficiencies on vaccines and interactions of probiotics and the gut microbiota with the neonatal immune system, vaccines and viral pathogenesis. Her team’s discovery of the gut-mammary secretory IgA axis (initial description of a common mucosal immune system) in swine was a breakthrough for development of maternal coronavirus vaccines to passively protect neonatal animals. Her lab identified new enteric viruses (group C rotavirus, caliciviruses), characterized their pathogenesis and developed novel cultivation methods, diagnostic assays and vaccines for them. Her current research emphasizes attenuated and novel bioengineered virus-like particle (VLP) vaccines and adjuvants (vitamin A, probiotics) to prevent viral diarrheas in humans and animals and their evaluation in germfree animal disease models. Her lab also investigates the interrelationships among animal viruses, especially coronaviruses, and their human counterparts to assess their zoonotic potential, mechanisms of interspecies transmission and potential vaccines. Dr. Saif is a member of the U.S. National Academy of Sciences (2003) and the Argentine Academia Nacional de Agronomía y Veterinaria (2009). She is an elected Fellow of the American College of Veterinary Microbiologists (1990), the American Association for the Advancement of Science (1995) and the American Academy of Microbiology (2004). She was awarded an Honorary Doctorate from the University of Ghent, Belgium (2003). In 2015, she became the first woman to receive the Wolf Prize in Agriculture. She has served as a member of advisory teams for various US and international organizations (USAID, CDC, WHO, etc), she was a Fulbright Scholar (Argentina) and she serves on several journal editorial boards (Proc Nat Acad Sci, Ann Rev Animal Biosciences). Her laboratory serves as a WHO International Reference Lab for Animal Coronaviruses within the SARS Coronavirus Network and as an International Reference Lab for TGEV porcine coronavirus for the Office International des Epizooties, Paris, France. Dr. Saif has authored or coauthored over 325 journal publications and 61 book chapters pertaining to her research. A detailed list of her publications is available on request. 2006 Lifelong Achievement Serving Agriculture and Improving Health in Communities Throughout the World, Ohio Farm Bureau. 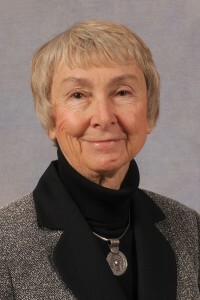 2009 Elected Chair, Section 61- Animal, Nutritional, and Applied Microbial Sciences of the National Academy of Science, Washington, DC, 2010-2012. 2009 Invited Visiting Professor, University of Bari, Bari, Italy, April 17-24, 2009. As a virologist and immunologist, my research focuses on comparative aspects, including the zoonotic potential, of enteric and respiratory viruses (coronaviruses, rotaviruses and caliciviruses) of food animals and humans. A related focus is mucosal immunity to these viruses and vaccine development. Our laboratory discovered the gut-mammary immunologic axis, a new concept leading to recognition of a common mucosal immune system in animals and humans. We exploited this concept to design vaccination approaches to prevent enteric viral infections of neonates. We continue to elucidate the immunologic interrelationships, T and B cell memory responses and maternal antibody impact among distinct mucosal tissues to devise new vaccine strategies for neonates. A current emphasis is on bioengineering of rotavirus-like-particle vaccines with immunomodulators to prevent rotavirus diarrhea, a leading cause of morbidity in young animals and mortality in infants. Our lab discovered, characterized and developed novel cultivation methods and diagnostic assays for new fastidious enteric viruses including group C rotavirus, a bovine torovirus and porcine and bovine enteric caliciviruses. Using our recently developed infectious viral clones, we are pursuing the genetic basis for in vitro replication and in vivo virulence of enteric caliciviruses. This research should unlock new avenues of investigation for uncultivable human caliciviruses, leading causes of food-borne illness worldwide. Besides comparative pathogenesis studies of animal and human enteric viruses in gnotobiotic animals, we are also investigating their antigenic and genetic relationships to assess their zoonotic potential and mechanisms for interspecies transmission and disease exacerbation.